Home » Dangers of Payday Loans » Are Payday Loans Ruining Your Marriage? It’s no secret that finances can put a huge strain on a relationship. According to a study cited in this CNBC article, finances are the leading cause of stress in a relationship. Thirty­five percent of all respondents “experiencing relationship stress said money was the primary cause of friction.” With money being a leading cause of relationship stress, it’s no surprise that the stress of mounting payday loans can have a negative effect on your marriage. In addition to the stressors of everyday life and relationships, payday loans create a heightened sense of overwhelm, anxiety, and fear. Financial insecurity creates a sense of fear for many. The financial insecurity brought on by payday loan debt creates even more feelings of fear, anger, and frustration. This makes it extremely difficult to maintain a healthy and happy relationship and marriage. Payday loans don’t just create financial insecurity, though. 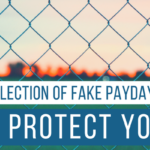 With payday loan debt comes unwarranted harassment from payday lenders, unmanageable debits from your bank account, and for many, potential scams and fraudulent loans. The list of negative repercussions from payday loans is long, and they affect every aspect of your life. The payday loan trap is stressful, overwhelming, and scary. 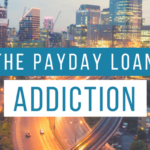 Dealing with aggressive payday lenders, harassing phone calls, and constant debits from your bank account can lead to high levels of stress and anxiety for any person. When you add all of these stressors onto a marriage, it can take a toll on your relationship. Are you hiding payday loan debt from your spouse? Are you constantly arguing with your spouse about payday loans, lenders, or financial instability caused by payday loans? Are payday lenders creating unnecessary stress in your life that is bleeding over into your marriage? If the answer to any of these questions is yes, your payday loan debt could be harming your marriage. The payday loan trap can seem daunting and nearly impossible to get out of. Escaping the trap and taking back control of your finances is easier than you think, though. 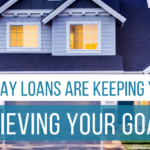 The first step to getting out of the payday loan debt trap is to stop taking on more loans. Then, find a payday loan consolidation company that you can work with to consolidate your loans, get out of debt, and get back on track. 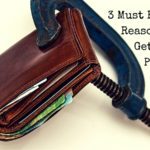 If you’re currently struggling with the overwhelm of payday loan debt, check out our post “Top 3 Tips for Getting Rid of Payday Loans … Once and For All!”. At Real PDL Help, our team specializes in payday loan debt relief. We work one-on-­one with people who are struggling with mounting payday loan debt, unmanageable monthly payments, and aggressive lenders. If your life and marriage are being affected by payday loan debt, contact us today. We can help!